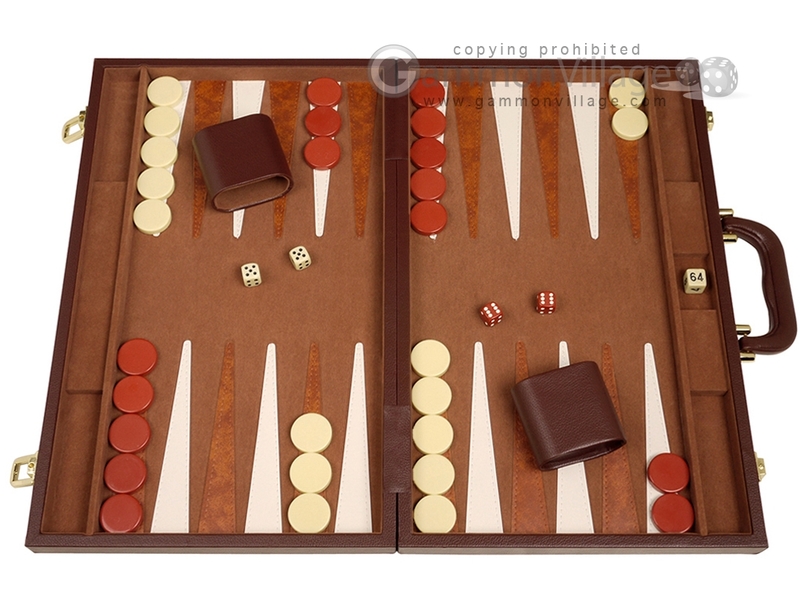 This classic 18-inch brown backgammon set is one of our most popular backgammon sets. It combines elegant style, quality craftsmanship, and a wonderful playing experience – all for an incredible price! Page P4626 Copyright © 1999-2019 GammonVillage Inc., USA. All rights reserved.